To fit the requirements of our esteemed patrons, we are engaged in offering a wide collection of HDPE Woven Fabrics. These woven fabrics are manufactured using optimum quality raw material under the watch of quality controllers, who ensure offered array is able to pack various industrial items as cement, fertilizers, fiber, seeds and sugar. Patrons can avail from us these woven fabrics as per their detailed specifications. 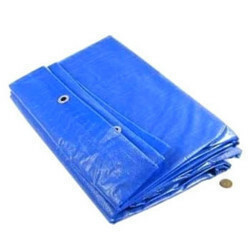 Founded in the year 1980, at Ahmedabad (Gujarat, India), we, "Surendra Brothers", are engaged in manufacturing, exporting, trading and supplying a comprehensive assortment of HDPE Laminated Roll, HDPE Tarpaulin, PVC Coated Fabric, PVC Raincoat, LDPE Sheet, Industrial Rope, Agricultural Mulching Film, Agricultural Shade Net, Outdoor Tent, etc. We are the trader of the garware products. The products offered by us are designed using premium quality raw material and advanced technology in accordance with the set international standards. These are widely praised among clients for their durable finish, low maintenance, longer life, attractive look and fine finish. The offered range is available in various sizes and specifications as per the requirements of clients. Apart from this, the offered products can also be availed by clients from us at the most competitive price range.